Gov. Jay Inslee must decide by Thursday whether to veto or let stand a bill exempting the state Legislature from Washington’s Public Records Act. Inslee has received hundreds of messages urging him to veto it. OLYMPIA — More than 540 people have emailed Gov. Jay Inslee’s office in recent days urging him to oppose a bill overwhelmingly approved by the Legislature that would exempt state lawmakers from Washington’s Public Records Act. On Monday, responding to a request by The Seattle Times, the governor’s office made public the messages that flooded Inslee’s inbox over the weekend about Senate Bill 6617. “The legislators are supposed to work for the people and the legislative process should be clear and open,” wrote one constituent. “You need to stand up for the people of the State of Washington and vote against this,” wrote another. The messages are the types of records that lawmakers have long claimed they are exempt from releasing. But Inslee’s office, like other state and local government agencies, is covered by the Public Records Act. An analysis of the messages found more than 540 opposed the legislation — and none supported it. Thurston County Judge Chris Lanese in January ruled that lawmakers’ offices are subject to the Public Records Act. The decision, in a lawsuit brought by media organizations that include The Associated Press and The Seattle Times, is being appealed and may go before the state Supreme Court. But lawmakers decided not to wait. Legislators on Friday approved SB 6617, which would exempt the Legislature from the Public Records Act but makes some records, such as calendars and correspondence with lobbyists, public. The bill also would make public final disciplinary reports, such as investigations into sexual harassment involving lawmakers or staff. The legislation is retroactive, making records that currently exist off-limits from disclosure. Lawmakers passed the bill only 48 hours after releasing the proposal, and without holding a public hearing or floor debate. Now, Inslee has until the end of Thursday to decide whether to let the bill become law — with or without his signature — or veto all or part of it. The bill passed the House 41-7 and the Senate 83-14. Pedersen’s statement, which includes a lengthy defense of the bill, has been shared by other lawmakers and was posted on The Stand, an online labor publication. An email seeking comment from legislative leaders about Pedersen’s statement was not returned by Monday evening. 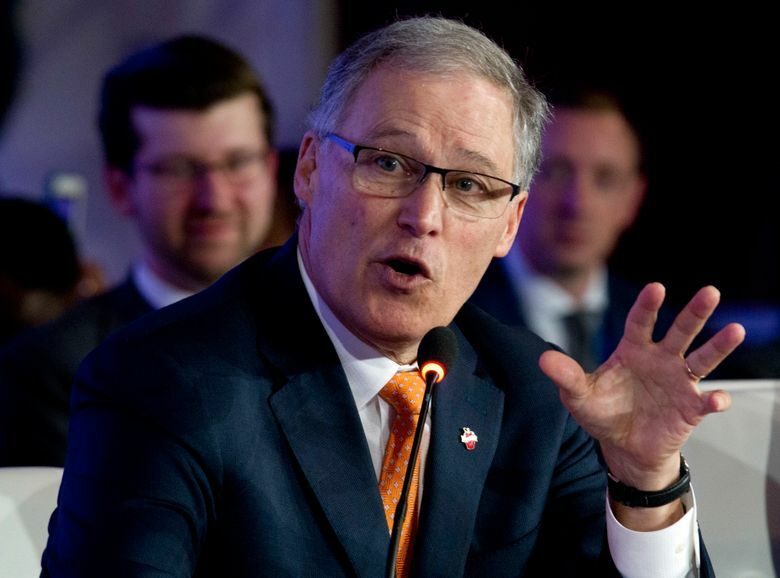 Inslee was in Washington, D.C., on Monday to attend a National Governors Association gathering, which included a meeting and televised clash with President Donald Trump. “When he gets back I’m sure he’ll have more to say on the matter,” Inslee spokesman Chase Gallagher wrote in an email. The governor will also have phone messages awaiting him. Gallagher said nearly 200 people called the governor’s office Monday about the public-records bill — all of them opposed to it. It still isn’t known what the bill would mean to the ongoing lawsuit. Michele Earl-Hubbard, an attorney for the media group, has said the litigation will continue, and the bill’s retroactive clause will be part of that appeal. Since the bill’s passage on Friday, some state lawmakers have given statements to constituents that include inaccuracies or omit key context. Lawmakers have posted statements on Facebook, sent mass emails and sent individual messages to constituents — some of which were forwarded to The Seattle Times. Some lawmakers shared Pedersen’s statement, which among other things defends SB 6617’s process for challenging a decision to withhold specific records. Rather than having the courts handle the matter, as allowed under the Public Records Act, two legislative committees staffed by lawmakers would review and rule on any challenge. “Their meetings are open to the public,” Pedersen said in an early version of the statement that other lawmakers have also posted. In fact, one of the two committees, the House Executive Rules Committee, doesn’t have to give advance notice for its meetings or post agendas, said House Chief Clerk Bernard Dean. Typically, lawmakers on the committee meet individually or in small groups, sometimes via phone, while working through decisions, according to Dean. There hasn’t been a face-to-face meeting of the entire committee since February 2009, Dean wrote in an email. After those facts were called to his attention, Pedersen updated his statement to note that only the second committee, the Senate Facilities and Operations Committee, holds open meetings. Other lawmakers, in explaining their vote for the bill to constituents, make no mention of the public-records lawsuit the bill addresses. 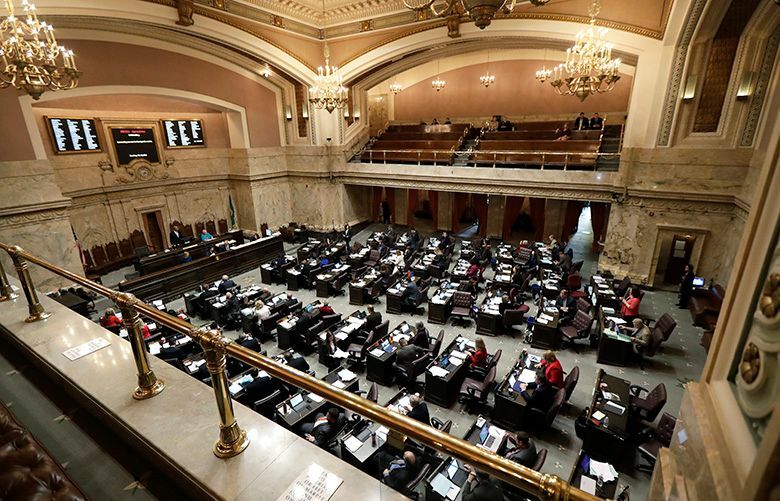 In one message forwarded to The Seattle Times, House Majority Leader Pat Sullivan, D-Covington, told a constituent that the Legislature is currently exempt from disclosing most records. Sullivan didn’t mention the judge’s ruling that found lawmakers in violation of the Public Records Act. SB 6617 “actually expands disclosure requirements for the Legislature,” Sullivan wrote. Seattle Times staff reporter Agatha Pacheco contributed to this report. Joseph O'Sullivan: 360-236-8268 or josullivan@seattletimes.com.